iMac on the blink? Don’t freak out just yet. Unlike other places, we actually deliver on the promise of same day service, drop off your Mac before 1pm Monday – Friday, we will start service on it the same day! To put it another way, you shouldn’t have to wait for days or even weeks to get your notebook repaired. We realize that most everything that comes in for service – is urgent! Therefore, we will make every effort to have an detailed analysis of your computers problem by the next business day. 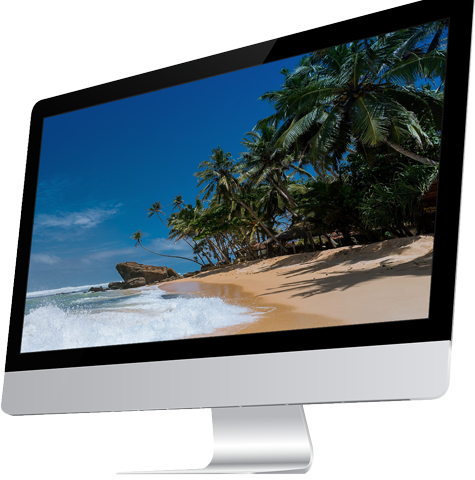 We repair just about anything that can go wrong with or break on your iMac. Our techs are experienced and know Mac’s inside out. And you deal with us face-to-face, either in our shop, or in your home or office. We’ll diagnose, fix, and return your iMac with the fastest turn around time in Ann Arbor. And we do mean the fastest turn around time in Ann Arbor. Naturally, we realize all Mac’s repairs are urgent, so if you drop off by 1pm Monday – Saturday we will start service the same day! In fact, we do all repairs in-house, so you don’t have to wait for us to send your machine off to a 3rd party location. That doesn’t that mean we’re not using approved Apple / Mac replacement parts either. We use the same quality parts you’d get if you shipped your iMac for repair to Apple, except we fix them right here in our own shop, for a reasonable price. And because we repair in-house, you don’t have pay extra for shipping and handling. We can do the same repairs as any branded place. Only we can do them faster, cheaper, and more conveniently. Naturally, accidents Happen! In fact it seems we can’t go through life without them. For instance, if you have managed to knock your iMac off your desk, or it just stopped working there’s a good chance that the LCD may be damaged. Sometimes your LCD displays can go haywire without any apparent damage being done. If this does go wrong, it doesn’t mean you need to replace your whole iMac – that’s the expensive and absolute last resort. When necessary, we can collect, repair, and return your Mac to your place of business or your home. Because you can’t always come to us, for that reason, we’ll come to you. While our on-site repairs are available to anyone within 15 miles of Ann Arbor, in fact, we go even farther. But, call us 1st and we will discuss your service issues and do our best to assist you resolving them. We diagnose and repair all Mac issues, both hardware & software from simple fixes to complex board level repairs at reasonable fixed rates. In 16 years with over 31,500 repairs under our belt, we know our stuff. Our business is build around the premise that you shouldn’t have to wait days or even weeks to get your Mac repaired. Make An Appointment & Speed Up Your Repair – Appointments Get Priority Service. Want Your iMac Fixed NOW?? assist you with your iMac, iPhone or iPad problem.